≈ Comments Off on Cry Justice? As a city descends into barbarity and violence overtakes the innocent, the cry on the street is for justice. Racial media pundits sitting on the sidelines are acting as cheerleaders for the grand spectacle. People who, though they are about the devils work, feel justified they are in the right. One hears little sympathy from them concerning the businesses being burned, the families cowering in fear or the communities being destroyed. This is likely because, safely tucked away in homes far away, they can fan the flames of hatred and let others face the consequences. If it was their streets being set ablaze, one can be certain, they would be singing a different tune. The Congressional Black Caucus (CBC) put out a statement that “Black lives hold no value; that you may kill Black men in this country without consequences or repercussions.” Men who claim to disapprove of the actions on the street but are part of the bucket brigade passing pails of gasoline to pour on the rising flames of discontent. President Obama has said the anger being displayed is an “understandable reaction,” and has blamed the mayhem on “historical racism.” Others have spoken of Social Justice and, with impassioned pleas, ask others to understand the carnage. Cornell William Brooks, the head of the NAACP, calls Ferguson a Social Justice crisis, he is right but not in the way he sees it. The facts have long been lost in the midst of the protest and destruction. The truth is Michael Brown, the thug that attacked Officer Wilson, deserves no sympathy. The evidence is beyond dispute for those with even an inkling of objectivity. Brown assaulted the officer while he was in his car, tried to grab his gun, refused to comply with orders, and charged at Wilson while he had his weapon drawn. Micheal Brown was shot in a clear act of self-defense, but of course that does not matter. The facts in this case are irrelevant and the individuals invisible. They have been made so by a society whose values have long been subject to the corrupting influence of those preaching a Social Justice gospel. Officer Darren Wilson, whose actions that night have been examined under a microscope and his life turned upside down, has been christened a devil by adherents of the Social Justice religion. Correspondingly, Michael Brown has been conferred sainthood by those who have made him a martyr for the cause. Neither is any longer seen as a man, they have become symbols of racial disparity and injustice. Facts have long since become irrelevant. The truth is Social Justice is not justice at all, it is anti-justice. It seeks to reward and punish based not on individual merit but on race, ethnicity or a myriad of other ways wholly disconnected from what is just and what is not. It divides people and inspires hatred, all the while creating despondent dependency in those it purports to help. It also lays the foundation for mindless riots and the burning down of communities already suffering from urban blight. Indisputably, Social Justice’s simplistic message has proven to have great appeal. To those on the bottom of the societal ladder, it provides them scape goats so they do not have to face their own failures. It gives socialist minded politicians the moral underpinnings for wealth redistribution schemes. Successful liberals embrace it because it reinforces their world view, justifies their schemes and gives them the great lever of guilt to pry wealth from others’ hands. It also means they do not have to fix the real issues, things like failed schools, societal devaluation of education, drug abuse, moral decay and the broken families at the bottom of it all. Most of all, Social Justice is an tool of those who seek to manipulate others for personal gain. 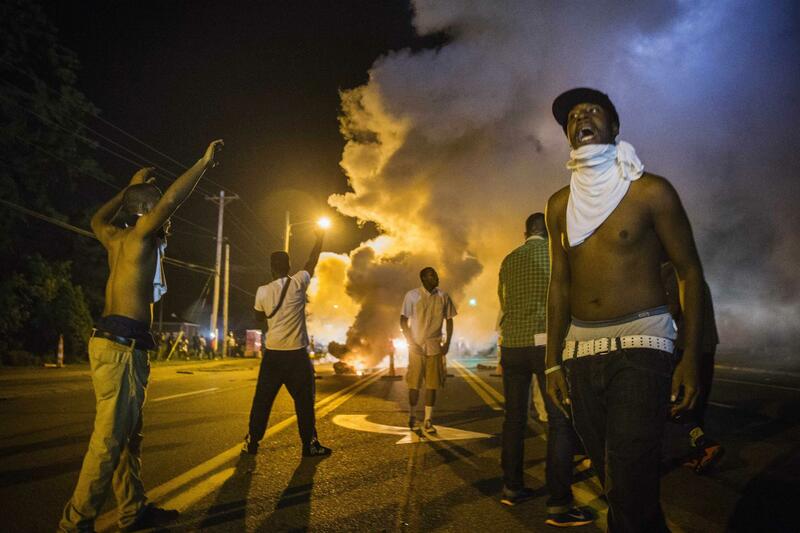 There is a reason that Al Sharpton, Jesse Jackson, the CBC, the NAACP and others rushed in to fan the flames of unrest. Participants, one in all, in a cabal of unholy manipulators. They incite violence and foment hate just so they can remain relevant in world that would otherwise pass them by. What need is their for the NAACP (National Association for the Advancement of Colored People) if blacks advance economically? Who would care what Sharpton and Jackson, men enriched by the civil rights movement, have to say if everyone is getting along. If the Uncle Toms inside the CBC did not have Social Justice and its vile message to inspire black voters they would quickly become irrelevant as well. Yes, as the NAACP President said, the Ferguson riots are a Social Justice crisis, or more appropriately a Social Justice inspired crisis. The inevitable result of it being taught in schools, preached in pulpits and supported by community leaders until it has become unquestioned. In the crackle of every fire, the screams of every innocent victim, the breaking of windows and a million other horrid actions happening in Ferguson and other cities, one can hear the chant of Social Justice. Thousands wallowing in ignorance and creating chaos so that a few wretched souls can use the carnage to lift themselves up above the rest.